Today, great Wi-Fi is about more than just connecting devices—it is about connecting people to your brand. People spend more than 50% of their time on Wi-Fi. Your guest network must be able to not only handle this growing traffic, but also to identify and engage your most loyal guests. Do your TripAdvisor reviews include complaints about your Wi-Fi? Ever wonder why? 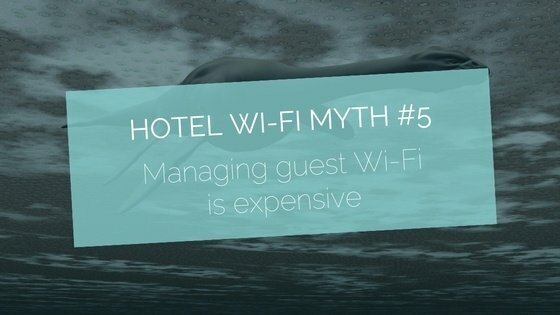 We’ve outlined the top 5 concerns guests have about Wi-Fi when they are planning a hotel stay. The more you tailor the Wi-Fi experience at your property to avoid these concerns – the happier and more loyal your guests will be! In Part I and Part II of our Myth-busters Blog Series, we debunked the myths that Wi-Fi is all about bandwidth, that it should be managed on-property, and that it’s an IT function, not a business asset. 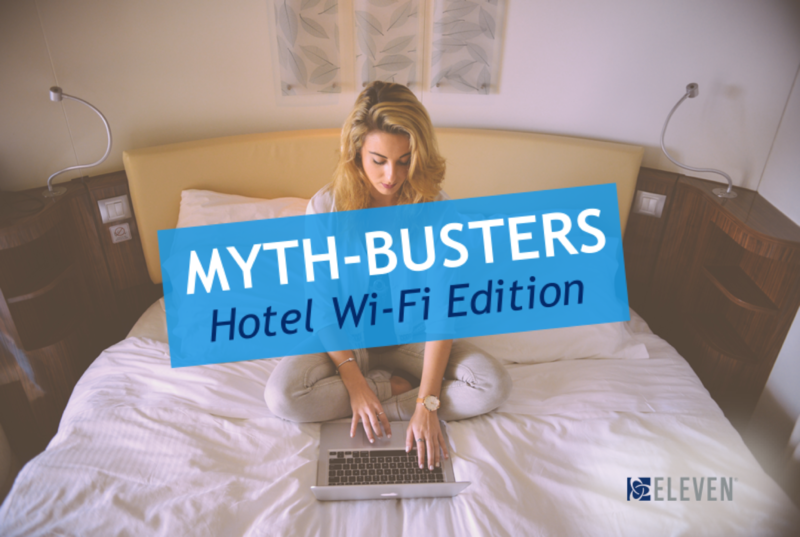 In Part III we’ll wrap it up with 2 more hotel Wi-Fi myths. By now we’re all well-aware that Wi-Fi is is a must-have...However, there are opposing forces at work making it increasingly difficult for hotels to deliver a high-performance guest Internet experience. Guests use an average of 2GB of data per month on their 2.9 devices (Skift). The average cost of a network installation is $300,000 and $5,000 per month for 500MB of data at a 500-room hotel (Meetings&Conventions, Cloudflare). At the same time, guest willingness to pay for Wi-Fi is declining. According to a 2015 Hotels.com survey, 53% of hotel guests demand free and reliable Wi-Fi as a standard. Can we send you email? Eleven pioneered cloud-based guest Wi-Fi management software for the hospitality industry in 2002. Today, thousands of companies trust Eleven to keep more than 9 million guests connected every month. The ElevenOS Smart Wi-Fi platform enables central management of guest Wi-Fi across multiple devices, properties and providers with real-time analytics.